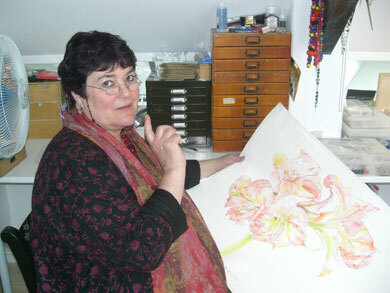 ​Paula Cloonan trained at Cambridge School of Art & Sussex University. A reportage watercolour artist and book illustrator, she moved to Devon to teach at Churston Grammar in 1970s. Whilst her family were growing up she initially concentrated on picture book illustration with Blackies & W.H Smith including Night Before Christmas, Rainbow in the Morning and Wholefood Harvest Cookbook, but then developed her reportage style of working on site at family festivals such as Campus, Sidmouth, Malborough and more recently Ways With Words (al fresco) and Tagore Festival at Dartington.